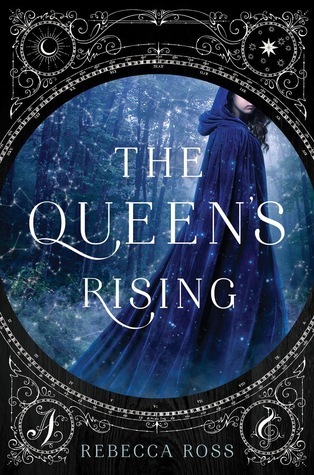 what happened in The Queen’s Rising? Brienna is currently going to a school where people have to train in a certain passion (skill). Her passion is knowledge, and her teacher is Cartier, who Brienna lowkey fancies (it’s weird). The girls all get a patron who agrees to take them on as an apprentice. All except Brienna, who has to stay behind at the school. Cartier also leaves to go on a trip. He and Brienna write to each other while he’s away. Brienna starts having visions of her ancestors. In one, she sees Norah Kavanagh take the Stone of Eventide. Kavanagh gives it to a man. This man hides the stone in the second and third visions. He hides it in a locket and buries it in a forest. The Dowager tells Brienna that she is descended from the Allenach family. She won’t tell Brienna her father’s name though. The Dowager asks a friend – Aldéric Jourdain – to be Brienna’s patron. Jourdain arrives and Brienna leaves with him. He tells Brienna he wants King Lannon (the king of Maevan, the neighbouring country) to be dethroned. He gives Brienna a fake identity. It turns out that Jourdain knows about Brienna’s past and ancestry. Luc, Jourdain’s son, tries to make Brienna have another vision. Brienna comes across a man at the river. He claims to have known her father. Brienna figures out that Jourdain is one of three men who tried to overthrow King Lannon in the last uprising. He’s either Morgane, Kavanagh, or MacQuinn. Jourdain admits to being MacQuinn, and he introduces her to a young girl who is actually Queen Isolde Kavanagh. Jourdain and his friends want to put her back on the throne and use the Stone of Eventide to restore magic. Brienna has another vision. She sees a boy, Tristan, and his brother Oran. In this vision, Brienna sees the tree where Tristan buried the stone. She now knows its location. The group is still waiting on Aodhan Morgane to arrive but they have to start without him. They plan to send Brienna to the king to beg for a pardon for Jourdain. While she’s doing that, Isolde plans to sneak into the country. Brienna will then go and find the stone. Jourdain makes Brienna promise to keep her Allenach identity a secret from the king. Brienna enters the throne room and confronts the king, asking for a pardon for Jourdain/MacQuinn. The king agrees, and makes Brienna send an invitation to Jourdain to get him to come to the palace. The king wants to keep Brienna with him, but Brendan Allenach convinces him to allow Brienna to join him at his home instead. There’s a dinner party at Allenach’s place. Cartier shows up and it turns out he’s Morgane’s son. Brienna sits with Allenach and his sons for dinner. Brienna finds a hidden passage in her room and goes to meet Cartier. They catch up. Merei, one of the students from the school, is also at the manor. Allenach’s sons give Brienna and Merei a tour of the grounds. Brienna finds the tree and digs up the stone. Brienna has a vision in which Norah visits Tristan and they plot to steal the stone. Rian Allenach questions Brienna on her intentions. He threatens her and then stabs her with a knife. Cartier stiches Brienna’s wound and then takes her back to her room. Allenach returns from the palace and tells Brienna that he saved Jourdain by convincing the king to give him a trial. He says Jourdain is being housed on his property. It turns out that Allenach is Brienna’s father (obviously). He tells Brienna about how he met her mother. Brienna tells Allenach that she is on his side. Allenach shows Brienna the Queen’s Canon, which is a tablet that says any Maevan woman can be queen. There’s a fire and Allenach locks Brienna in her room as he goes to sort it out. Brienna breaks out of the window. Rian tries to kill her, but a dog saves her and kills Rian instead. Brienna meets Cartier and Merei in the barn. They leave for Mistwood. They arrive after having copies of the Canon printed. Everyone is there waiting for them. how did The Queen’s Rising end? There’s a battle. Brienna has awful timing and has a vision in the middle of it. She sees Tristan kill the queen. Merei and Sean protect Brienna from Allenach. Jourdain kills Allenach in a fight. The king flees to the palace. The rebels take his crown. Isolde imprisons him in the keep. Brienna gives Isolde the Stone. Isolde heals people using magic. Brienna, Jourdain, and Luc return home. Brienna invites Cartier for dinner. Cartier gives her her cloak. Finally. They kiss and head for dinner.